The phase Hierarchy of control should come familiar with safety practitioner. There may be additional steps in the pyramid but for certain the top will be 'Elimination' and the bottom is 'Personal Protective Equipment or PPE'. 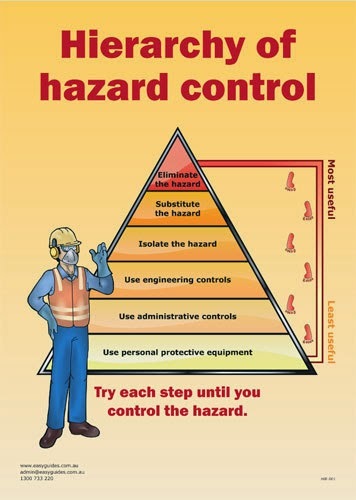 Theoretically the best control is elimination of the hazard and the least prefer is providing worker with PPE because this does not eliminate the hazard, it just prevent the hazard from doing more serious harm to the victim. In real life, it may not always be the case, For example, To eliminate a hazardous process mean you may need to redesign your process flow, create additional less hazardous process even re-arrange your shop floor to create a new flow. This cost involve will be huge. 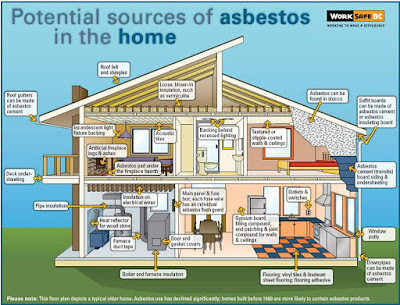 To substitute a hazardous material or chemicals will be require less cost than elimination, eventually you can get something which is cheaper then your existing chemicals in term of material cost or waste treatment cost. But this will require time and effort to research and develop the new replacement chemicals. The employer must be prepare to commit man hours for this to be successful. So what do you do when your employer is among those 'making profit only' type. Instead of starting from the top of the hierarchy, we have to start from the bottom, that's PPE. Make make sure no fatality or serious injuries will occur. At the same time, start administrative control using method like standard operation procedure, safety precaution sign, limited access area, training and educate the worker, inspection checklist etc. This will create safety awareness in your workplace. So when the awareness catch up, your employer in the process will also learn to respect the safety element. Now you move to the next step, propose low cost engineering control to your employer like install emergency stop bottom, guarding, safety interlock etc. Then you move to higher cost engineering control method like fume hood, automation, conveyor system etc. Very soon you will be in the Isolation control already. Safety and health culture does not come overnight. It has to be nurture and grow.